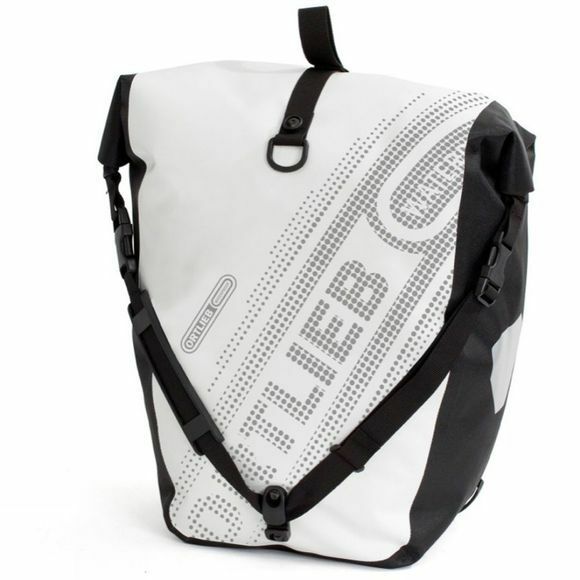 Forty litres of proven bike-touring reliability, the Back-Roller is built like a drybag to keep your gear protected, but shaped to fit the back of your bike. In addition, the Back-Roller Black 'n' White Panniers mounts to your rack using the QL2.1 system: simply drop the hooks into place and they fasten. When you lift the carrying handle, it releases and lifts cleanly away. If you're moving between bikes then you'll appreciate the anti-scratch design too, as well as the tool-free adjustment: everything can by positioned by hand.